Visit Banff’s Re-Use It Centre to donate your items or find something you need, rather than buying it new. Reduce your household food waste. Shop in your fridge first, meal plan, and show your leftovers some love to make sure you’re not throwing away valuable food (and money!) at home. Bring your scraps and peels to one of the white Food bins in town where it'll be composted. Shop zero waste. Bring your own bags to the grocery store and avoid buying things with plastic packaging. Bring your own containers for any leftovers you may have while eating out. Bring your own mug to coffee shops. Some even offer a small discount if you do. Hosting an event? Make it zero waste. Avoid disposable items and plan in advance to provide recycling and food waste bins. Read about the Banff Marathon’s success in becoming a zero waste event. 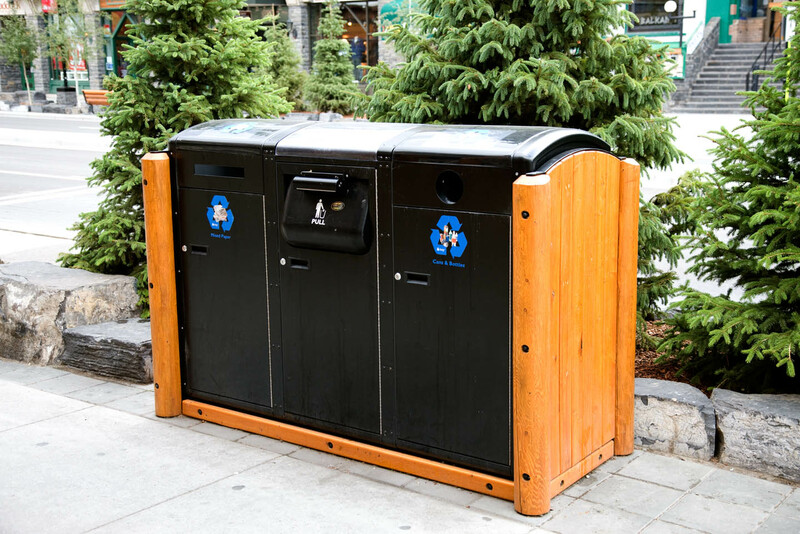 Get involved with local environmental action groups that focus on zero waste, such as The Bear Minimum, Banff Food Rescue, or the Biosphere Institute. Did you know that approximately 900,000 tonnes of garbage is produced between Thanksgiving and Christmas each year? The holiday season is a great time to consider reducing your waste at home. If every family in Canada reduced its weekly waste during the holidays by just one kilogram, 34,000 tonnes of garbage would be eliminated. In Canada, 545,000 tonnes of waste is generated from gift wrapping and shopping bags each year. Household waste can increase more than 25% in the holiday season. Every person will throw away an average of 110lbs of garbage this holiday season. Consider alternative ways to wrap gifts. You can re-use bags and boxes that you already have at home, buy paper that is made from recycled content, or simply avoid wrapping at all. Ditch the cards. Cards are one of the biggest contributors to holiday waste. There are many great alternatives, such as writing a message on a photo keepsake, or sending an e-card. Donate items that you no longer need. Decorations, wrapping supplies, and even gifts that you won’t use can all be donated to second-hand stores or brought to the Banff Re-Use it Centre. Sustainable gift-giving. Gift cards are a great zero waste idea, and there are many options that exist for donating to charities that support the environment. Start a ‘Re-use’ bin at home. Re-use the wrapping, ribbon, and bows from gifts you receive, or use extra paper to make unique DIY cards for next year. Try making your own gifts. DIY gifts help cut down on packaging, tend to be more eco-friendly in general, and make for a fun holiday activity too! Bring your own bags. Just like any other time of year, be sure to bring your re-usable bags when you head out to the stores to get your holiday supplies. Reduce your food waste. The holidays wouldn’t be the same without indulging in delicious food and treats. Unfortunately, almost 50% of food waste could have been eaten in the first place! Visit LoveFoodHateWaste.ca for tips on how to reduce your food waste this holiday season. Make re-gifting cool again. Who said that re-gifting is tacky? If you don’t need it, think of somebody who might really benefit from that item you’ll never use.